Thursday night at TAO Las Vegas adult film star Tera Patrick hosted the club’s 4th Annual Diva Las Vegas party. Tera arrived at TAO’s red carpet in her hot pink outfit with husband Evan Seinfeld. Joining them on the carpet were Vivid Girls Sunny Leone and Monique Alexander. Also with them was Spyderz lead guitarist Dirrty. After posing for the photographers, the group enjoyed dinner at the restaurant enjoying TAO Asian Bistro signature dishes. Following dinner, the group went up to the nightclub at their VIP table in the moat section of the nightclub. After midnight, Tera Patrick surprised the crowd with an impromptu burlesque number on the catwalk. 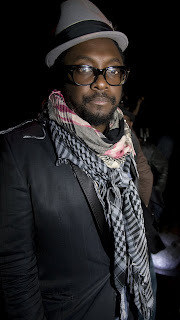 Also spotted at TAO was Will.I.Am from Black Eyed Peas. Arriving in the early hours of the morning was actor Wilmer Valderrama. He took sat be Will.I.Am at their table on the dance floor drinking shots of Patron. Wilmer hyped up the packed house of revelers when he went to the DJ booth joining DJ Five.